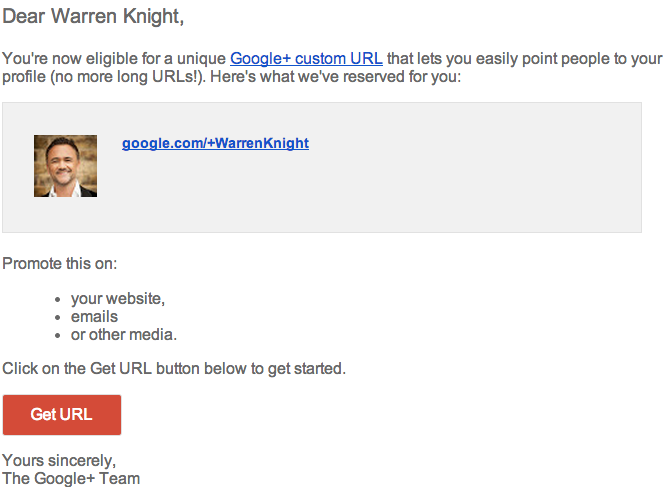 Did You Get Your Google+ Vanity URL? Finally, I can say that Google have created a social layer that can challenge the likes of Twitter and Facebook. Google+ is no longer considered boring by many of its users. It has the potential to really challenge Facebook, Twitter and Pinterest in the social network market and here is why. Between Google+’s engaging stream, hashtags, hangouts, pages, events and communities, they really do have something special. We are now in the Semantic Web era where the customer is what really matters and Google+ have utilised this by incorporating connecting tools, allowing businesses to not only find new customers but offer them new ways of connecting on a more personal level. Google’s new semantic algorithm allows you to market everything you do online by having a link to it. No other social network will allow you to do this, apart from Google+. 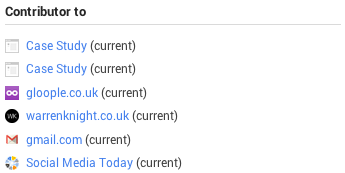 As you can see below, I can show websites I have contributed to, links to websites I am associated with and my other social networking profiles. As you can imagine, Google+ is the best social network in regards to SEO. Why? The answer is very simple. Google owns 90% of UK search and if you are using THEIR social network, they will favour you over and above every other company who isn’t. 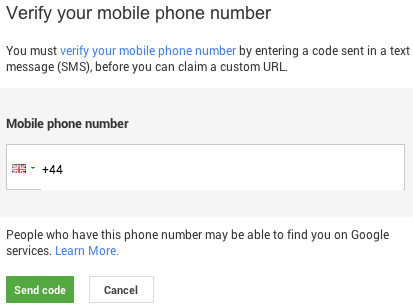 An important part of Google+ is making sure you have your own Google+ Vanity URL. 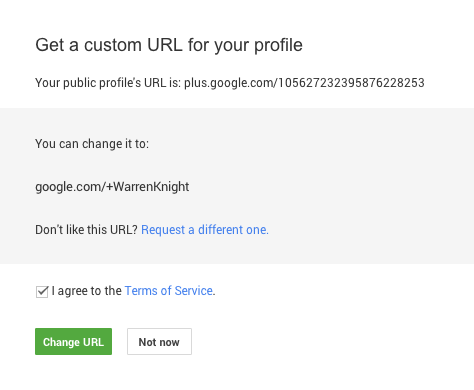 To change your Google+ vanity URL, go to your Google+ profile and you will see at the top a notification saying you are eligible to change your URL. Once you click “get URL” you will then be taken to a second page (see below). 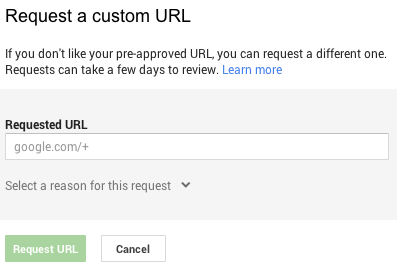 Google+ will then show you their option for what your URL should become. If you are happy with this, you can then click get URL (see below) or, you can also put in your own custom URL. 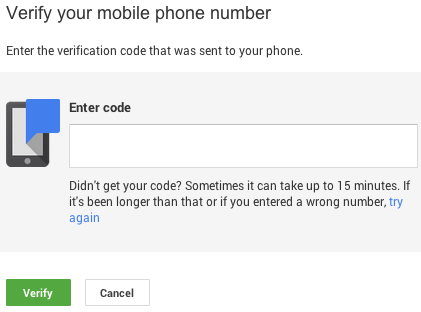 The last step is for you to enter in your mobile number to receive a text notification of your verification code and enter it in where Google says. Once you have done this, you will have your new vanity URL, allowing you to share your profile across all of your social networks and giving you that extra validity around your online profile. 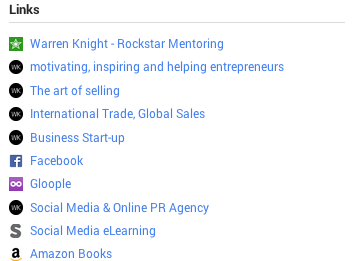 Here is my URL; https://plus.google.com/+WarrenKnight, come and join me on Google+ and say Hello!